Hello there! And happy summer! I have to say, I am pretty excited about this month's mood board! Even though I look over previous mood boards and see a variety over color combinations I start to feel like I am using the same colors over and over. And I feel like I use pink a lot. 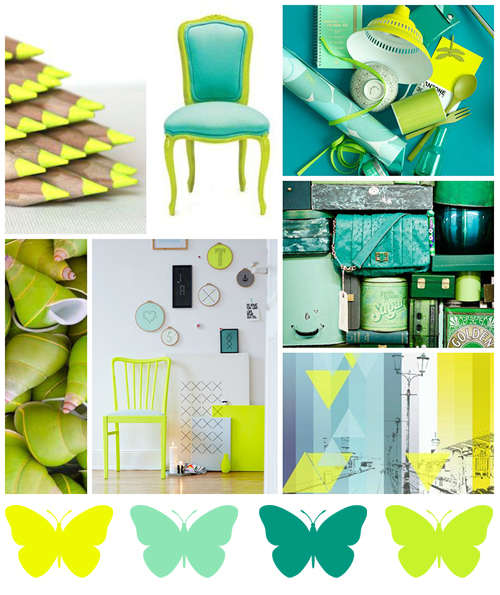 This month is a fun, summery, vibrant mood board that just makes me happy! I seriously love these colors and my layout photos are not really doing it justice. My colors are a little off on my photos and it's driving me crazy. The yellow watercolor is definitely closer to neon in person and is it just me or are these pictures looking gray? Ah the joys of blogger! I have so many wonderful embellishments in my stash that I decided not to even use paper on this layout other than my background. Speaking of which, I finally broke in to my Gansai watercolors and O.M.G. it's LOVE! 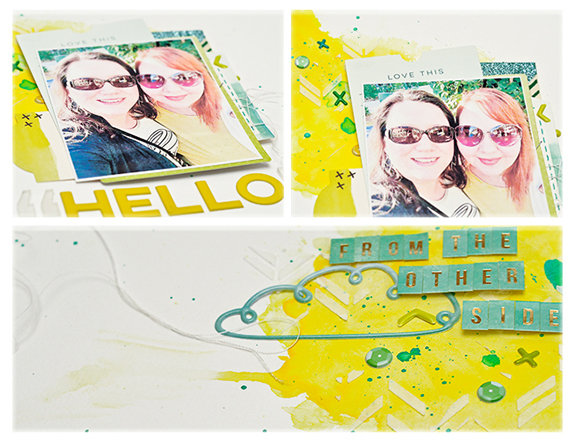 The Fancy Free collection matched so well with the colors. The puffy stickers from that line may just be my favorite ever! 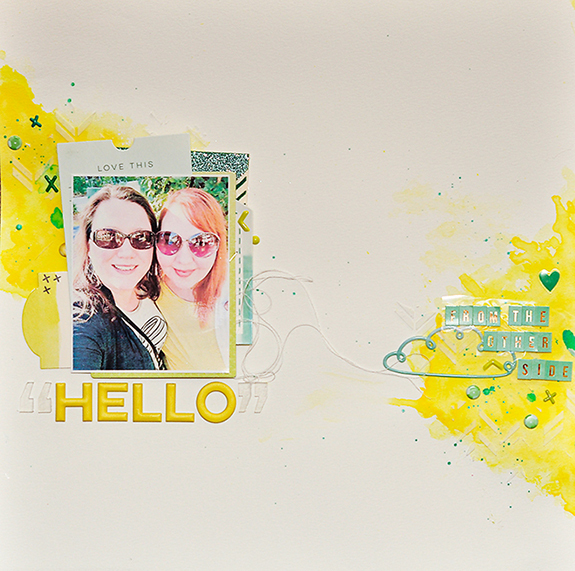 I hope this inspires you to create some fun layouts! As always, we love to see what you create! You can comment below with a link to your project, share on Instagram using #BRImoodboard or post in the new Butterfly Reflections Ink FB group! love the textures on the layout!